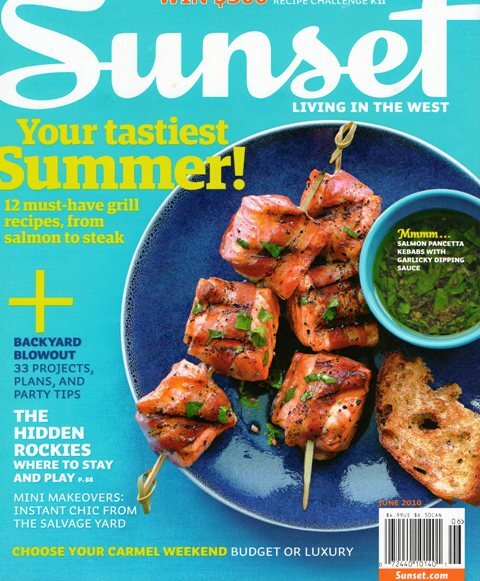 If you pick up the June issue of Sunset magazine – the one with skewers of salmon on a cobalt blue plate on the cover – turn to pages 51 and 52. There, you will see a short (and I mean short!) story by moi. It started out much longer, but is now not much more than the length of a photo caption. As these things go, I can’t complain. Thanks to the way we communicate these days, full-length magazine articles now read like Cliff Notes versions of themselves. The photo tells most of the story and then a few captions and call-outs do the rest of the heavy lifting. 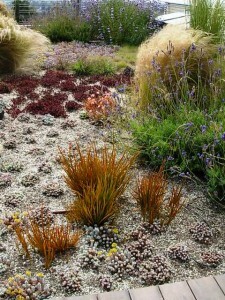 In this case, the story called “Lush Look, Low Water” was inspired by a rooftop garden owned by Mike McDonald and Jill Martenson, a visionary young couple who built Margarido House, the first LEED-H Platinum home in Northern California. 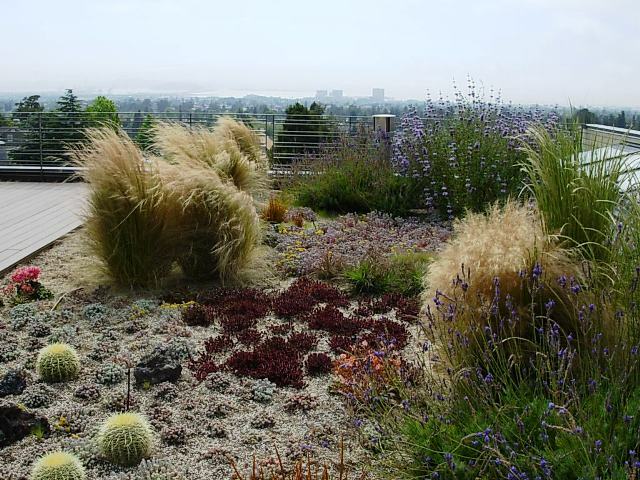 The “green” home and its eco-friendly landscape have received a lot of press, but the Sunset story really gives readers the specifics on designer Lauren Schneider’s approach to the roof garden. 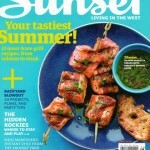 A special thank you goes to Sunset’s Julie Chai for shepherding this story from our initial conversation to the final publication. Check out the attractive clumps of Libertia periginans, a New Zealand iris relative valued for its bronzy-orange blades and vibrant color. Surprisingly dreamy, soft and fluid, despite its exposure to the harshest of elements (wind, sun, saltwater, for example), Lauren Schneider’s design can be replicated in similar rooftop or in-ground conditions. The photos you see here are mine. I included the original full-length story in my articles section. This entry was posted on Tuesday, June 1st, 2010 at 3:29 pm	and is filed under Creativity, Gardening, General, Landscape Design, Plants, Writing. You can follow any responses to this entry through the RSS 2.0 feed. You can leave a response, or trackback from your own site. Cool look for a rooftop garden. I imagine the grass movement is pretty fantastic. Great colors in the space. .-= compostinmyshoe´s last blog ..White Perfume =-. HEY, what’s with the word cut??? Don’t we writers count too?? Love what I’ve read. You’re one busy lady.